Emergency vehicles will need to get permission from state governments to use beacons. The blanket ban on red and blue beacon cars promised by Prime Minister Narendra Modi came into effect late last night. And the Centre has tried to make sure that nobody - not even the police - can misuse the flashing lights on vehicles that have, for decades, become a glaring symbol of power, and VIP culture in India. Prime Minister Narendra Modi decided to ban red beacons around 10 days back, putting a firm end to the practice that let VIPs - mostly politicians and bureaucrats - claim the right to way as they navigated through India's congested streets. 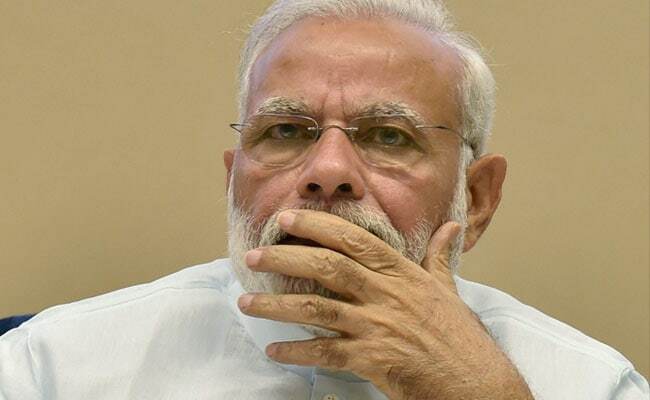 Speaking on his decision in his monthly radio programme Mann ki Baaton Sunday, PM Modi said he wasn't just removing the red beacons from cars but also ensuring that "the VIP culture is removed from the minds" of the VIPs. Last night's twin executive orders issued by Mr Gadkari's department is an improvement over the announcement made by Finance Minister Arun Jaitley, who said blue lights would be allowed for emergency vehicles. The orders learnt to have been vetted by the Prime Minister's Office ban both, red and blue beacons. The only one allowed a purple beacon is an ambulance. All other emergency vehicles will be allowed to use multi-coloured red, blue and white lights. This short list includes vehicles deployed for fire control, vehicles of the police, defence forces or paramilitary forces on maintenance of law and order duties and disaster management vehicles. But they too will not have a free run. The lights can be used by designated security officials only when they are on law and order duties. This means an official cannot switch on the flashing lights on their way back home to beat the traffic blues. More importantly, their vehicles will need a sticker - printed on "a water-mark paper" with a hologram - from the state government to use these lights. Also, the state government would have to make public the list of departments that are issued these stickers. "Only one sticker shall be issued to the designated officer for one vehicle at one point of time," Abhay Damle, joint secretary of the Transport Ministry said in the notification that set the ironclad ground rules. It is a message that may take some time to reach Congress-ruled Karnataka, given how initially Chief Minister Siddaramaiah, and later the Food and Civil Minister UT Khader have tried to cling on to the red beacon. Not for long. If they do, anyone can lodge a complaint to get them penalised for the violation.